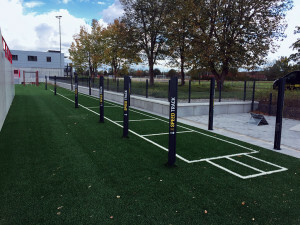 The permanent installation of the SpeedTrack® is almost executed in addition to the SpeedCourt®. 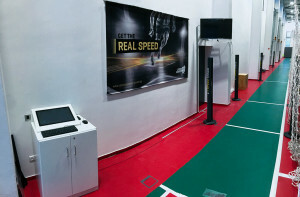 This combination forms the core of the GlobalSpeed Lab. 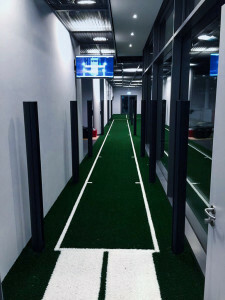 The solid double sensor, the massive double laser post, monitor and touch terminal at the start, as well as the monitor at the finish, make the SpeedTrack® a highly functional and attractive running and measuring track. 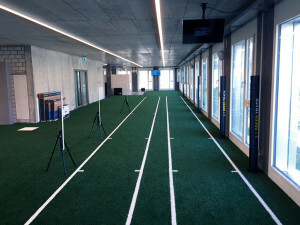 In combination with our video and training concepts, excellent training results can be achieved.